On Sunday 13th July Borough Market and Bankside is turning French for the day, to celebrate Bastille Day. Expect lots of games of boules and French things to buy, a screening of Belleville Rendezvous, plus lots of food and drink, including Escargot from L’ailolive Ltd, Montbeliard sausage French hot dog from French Comte, and French cakes from Comptoir Gourmand. It'll be open from noon until 10pm, so make sure you go for at least part of it. 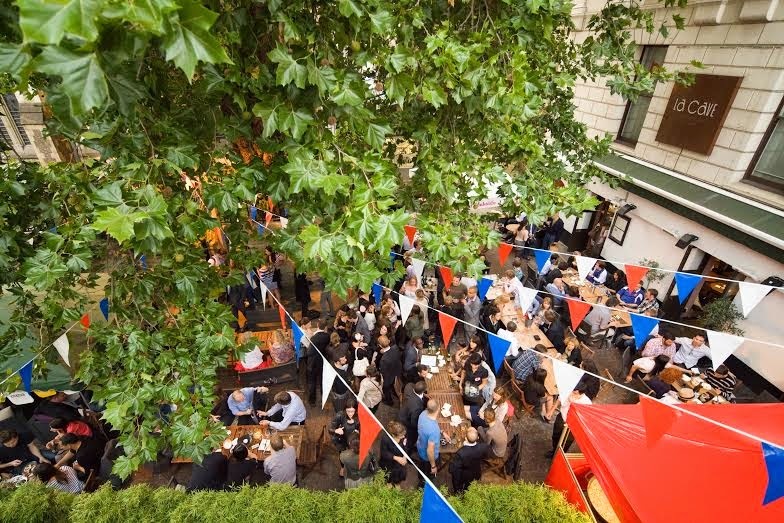 "For the seventh year running, Bankside and Borough Market are hosting London’s largest free Bastille Day Festival to celebrate France’s national day with an extravaganza of all things French. The party starts a day early on Sunday 13th July in and around the beautiful surroundings of London’s historic food market, Borough Market. Family – Enjoy family-friendly fun including magicians, street performers and live music. Get competitive with the classic French game of boules, a pétanque court will be set up outside authentic French restaurant La Cave. In the true spirit of the French revolution there will be a guillotine provided by The London Tombs, which will be chopping fresh watermelon. Food – Foodies and Francophiles will love the French feast at Borough Market serving culinary delights from crepes to comté. There will be free French cookery demonstrations in the Market Hall. Bakers from Bread Ahead are running French bread baking classes so anyone can learn how to make the perfect baguette. Also French menus will be served in restaurants throughout Bankside, including French cuisine at La Cave. Drink – Don’t miss the French cheese and wine masterclass at Vinopolis, whilst Laithwaite’s will be introducing the wine curious to French wine with tastings throughout the day. Shopping – Traditional French traders will be selling artisan crafts, gifts and books at Les Petites Marche. Shop for fine French food and drink in Borough Market. Just days after the yellow shirt passes through London, cyclists can take advantage of a special ‘Tour De France’ discount plus free cycle surgery at On Your Bike exclusively for Bastille Festival. Film – Relax in a deck chair at The Refinery and enjoy an al fresco screening of the critically acclaimed French animated family film Belleville Rendez-Vous at 1pm, followed by the World Cup Final in the evening. Party – Festivities will continue into the night with the Bal Populaire – a traditional open air party from 7.30-10pm. Vive le France! 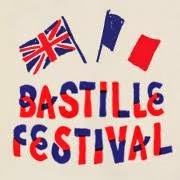 Bastille Festival is supported by Better Bankside, Français du Monde and Borough Market."